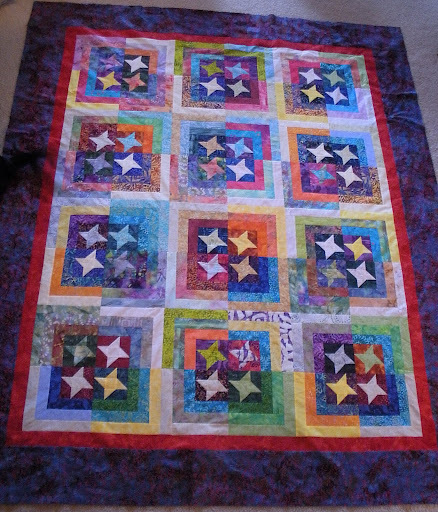 Thanks to everyone who weighed in on the borders for the block exchange Star Quilt I posted about last week. I think the red and the blue border frame the bright center perfectly! I really, really like it! The colors seem to dance across the whole top! 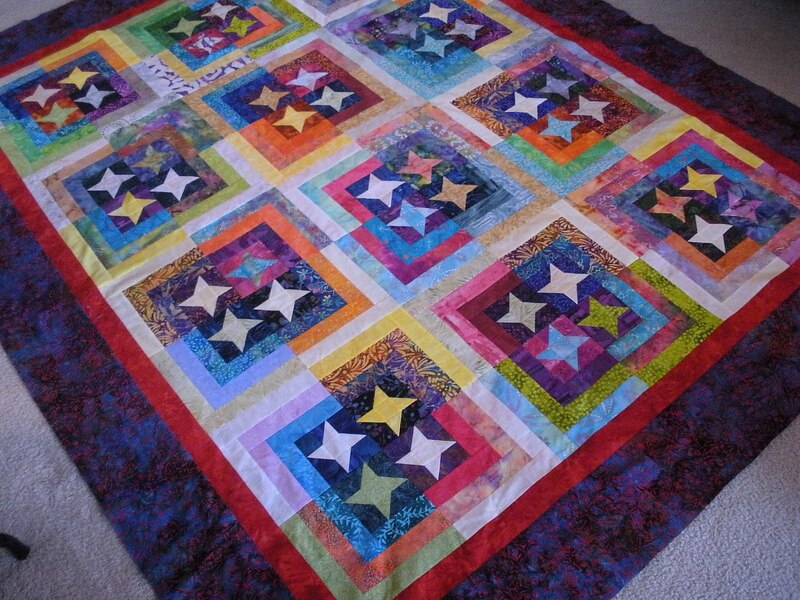 I love the border with the center — excellent choice! It looks surprising patriotic, even with the other non-red white & blue fabrics in it. Very nice! 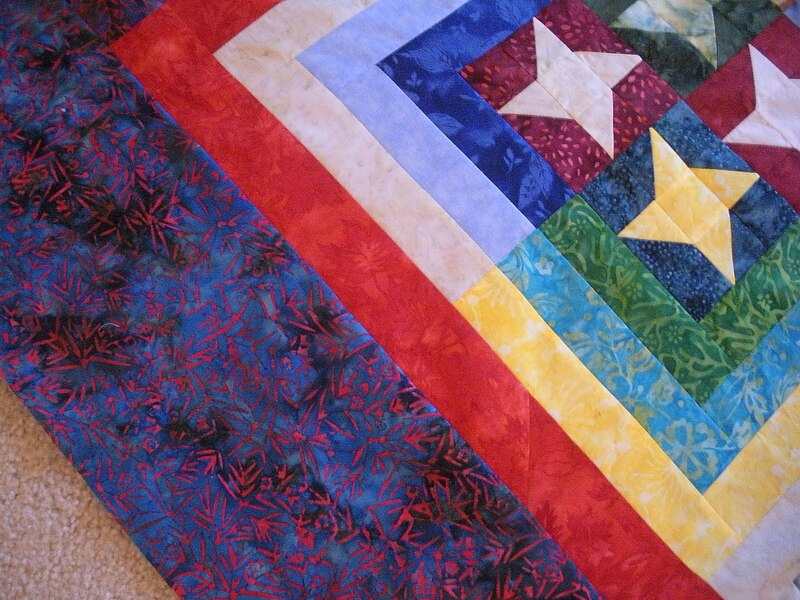 Wow, you've gotta be pleased with that, wonderful quilt, you did good with the borders. This turned out great! I really like the stars!